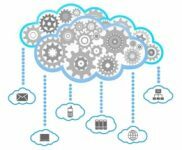 By Mary Shacklett The cloud is popular as a cheap alternative to other solutions, and a hybrid cloud requires a certain type of hybrid financing. Read on for how hybrid cloud pricing strategies can provide flexibility and budget relief for organizations. By Marc Ferranti There’s no doubt that the technology industry has plenty of money behind it. IT pros have no shortage of opportunity, and salaries are pretty good across the board. IT budgets themselves are not necessarily experiencing the same boom, however, and they are actually slowing. By Mary Shacklett The economy can be unpredictable, but IT leaders don’t want that unpredictability playing havoc with their department budgets. While organizations do need to adapt to economic climates, there are ways for CIOs to try to recession-proof their IT budgets. By Mary Shacklett The simple fact of the matter is that finances drive nearly all aspects of the business world. This being the case, it’s important for leaders in nonfinancial arenas—including IT—to have an understanding of their companies’ finances beyond their own departments’ budgets. By Stephanie Overby The tried and true argument IT leaders present in favor of outsourcing is the cost savings involved. But this way of doing business may not prove effective in the business landscape anymore, and companies are going to find themselves needing to spend money to save money. 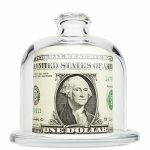 By Sharon Florentine We’ve reported a great deal on the state of IT salaries and career opportunities, and forecasts mostly indicate high pay and a multitude of openings—which means candidates have options when it comes to employers. To stay competitive, organizations are finding ways to get creative with compensation. By Bob Brown There are few more lucrative fields in the modern economy than the IT industry. Glassdoor’s recent survey on highest paying jobs is out, and it lists 11 of the highest paying technology careers in the United States. by Brian Contos Your organization’s chief financial officer (CFO) is responsible for managing financial risks to the company. Despite the clear financial risks data breaches present, often cybersecurity is still viewed as strictly an IT problem. The CFO can be a great ally to fight this perception and increase your security budget. by Conner Forrest IT’s impact on business is playing an even greater strategic role, according to a new study by Datalink and IDG. This necessary (but often contentious) relationship between business decision makers and IT leaders has ramifications for spending.